Prominent & Leading Exporter from New Delhi, we offer pusa white sella basmati rice, pusa golden sella basmati rice and pusa basmati rice. 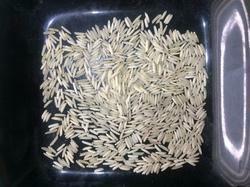 Pusa White Sella Basmati Rice is a particular hybrid variety of Basmati Rice. It is one of the most successful and commonly acceptable variety of Basmati Rice globally. It combines excellent cooking quality, fine long grains and excellent affordability. This unique combination of value and taste is the key to its popularity in the national and international markets. Pusa Golden Sella Basmati Rice is a particular hybrid variety of Basmati Rice. 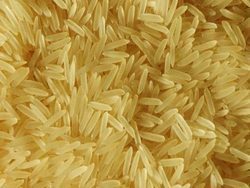 It is one of the most successful and commonly acceptable varieties of Basmati Rice globally. It combines excellent cooking quality, fine long grains and excellent affordability. This unique combination of value and taste is the key to its popularity in the national and international markets. Pusa Basmati Rice is also known as Pusa Sella Rice is the hybrid variety of Basmati Rice that possesses 100% purity, long grain, aromatic fragrance and non-sticky after cooking. The distinctive taste and enticing aroma have made Long Grain Pusa Basmati Rice highly acclaimed in the international market. 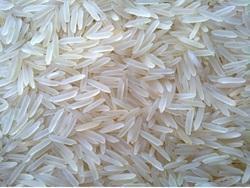 Additionally, we are enlisted amongst the prime Golden Pusa Basmati Rice Exporters from India.